Southern Peru has a long list of both natural and man-made wonders. Come for Machu Picchu, but depart with the memories of the beautiful places scattered across the high, southern altiplano: countless ruins, vibrant local communities, and natural wonders that will open your eyes to the beauty of Peru. Most travelers take 1-3 weeks to explore Southern Peru. After 3-5 days exploring the Sacred Valley and Machu Picchu, you can then connect to any of the highlights listed below by flight, rail, or land. Shorter itineraries connect by flight to Arequipa and Puno, while longer more scenic routes take you by train and by across the high altiplano. Cusco, the historical capital of the powerful Inca Empire, lies 3400m above sea level and stands as a testament to the incredible craftsmanship of the Inca stonemasons. Numerous buildings still remain, built around and upon by the Spanish. A stroll through Plaza de Armas square is all it takes to have a glimpse of Cusco’s splendor. Be sure to check out the local churches, markets (especially San Pedro), and art galleries. Try some lomo saltado, a delicious and popular beef dish, or if you're more adventurous, try the alpaca steak or guinea pig (cuy). Plenty of good drinks can also be found, from fresh-brewed coffee to chica, a refreshing corn beer. After a few days in Cusco, it’s time to explore the highlights of the Cusco Region — a visit to Machu Picchu and Sacred Valley, and then onwards to Puno and Lake Titicaca. You can reach everywhere in Southern Peru from Cusco within a day, either by private transport, bus, train or flight. Expert tip: The Andean Explorer train, offered by Peru Rail, plies between Cusco and Puno, the city nearest to Lake Titicaca. This is a great way to see the region and have a day of relaxed transport. If you are going to take the train one-way, Puno to Cusco is half the price as Cusco to Puno. Machu Picchu is the crowning jewel of the Sacred Valley — a deep river valley carved out by the Urubamba River — but there is much more to see and do along its banks. The valley was a sacred region for the Incan Emperors, with countless ruins and cultural significance wherever you go. The Sacred Valley is only an hour drive from Cusco, making for great day trips, or better yet, an easy overnight at one of the villages in the valley. The ancient town of Ollantaytambo is well-worth a visit and overnight, across from the valley from the terraced salt mines at Salineras. If you’re looking for a remote trek and a physical challenge, consider taking one of the alternate routes to Machu Picchu: the Salkantay or Choquequirao trek, which takes you through miles of mountain scenery, flora and fauna. Expert tip: If you’re tight on time, three days is enough to see most of the highlights of the Sacred Valley, including Machu Picchu. Try to stay one night in Ollantaytambo; it’s a picturesque village with cobbled lanes and amazing ruins you can visit in the early morning before the crowds. Peru’s “folklore capital” sits along the shores of Lake Titicaca, the highest navigable body of fresh water in the world, and offers an amazing mixture of both old and new. Serene and beautiful along the Bolivian border, Puno is a must see if you visit the area. Puno hosts countless colorful parades and festivals throughout the year. If you can visit in February, prepare to be dazzled by the elaborate masks and lively dancing of locals celebrating the annual Fiesta de la Candelaria. 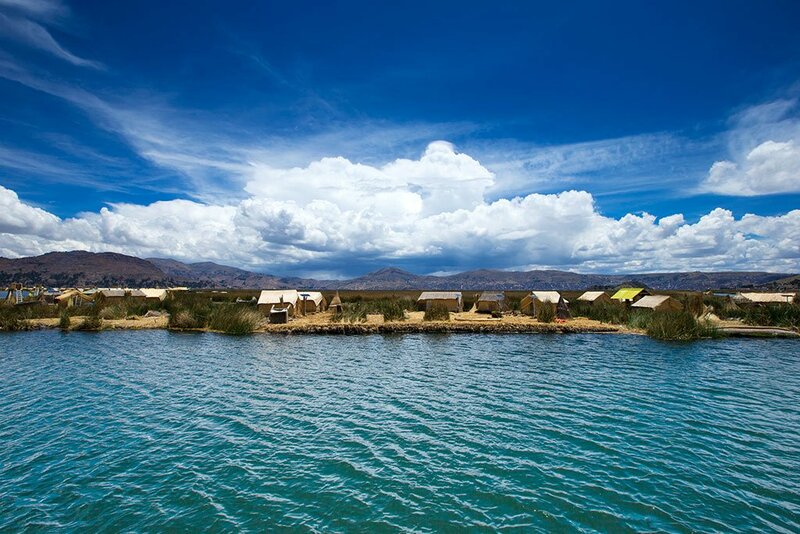 Dotting the surface of Lake Titicaca are hundreds of small, floating islands that a handful of people call home. These quaint, ancient communities welcome occasional visitors who can interact with villagers and learn about a unique way of life. During the day, many tourists visit these islands but stay overnight with a local family to truly experience their beauty. To the Uros people, who live on these islands and whose culture predates even that of the Incas, reed is the most important natural material for their livelihood. Everything — from their boats to their homes, to even the artificial islands they live on — are constructed out of this sturdy, aquatic grass. Most of the locals sustain themselves through traditional fishing and weaving and are more than happy to give outsiders a glimpse into their daily routines. Lake Titicaca is a remote area, with the shortest bus ride taking approximately six hours from Arequipa. 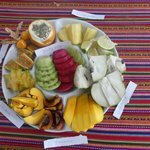 But if you take the Andean Explorer train, which runs from Cusco to Puno, you will be treated with a much more comfortable travel experience, with a scenic stop, lunch, and full service. The only downside is that you must book tickets 15 days in advance. Often called the “white city” for its white stone buildings made out of sillar, Arequipa is a tourist-friendly city surrounded by three impressive volcanoes. The city is known for being a cultural oasis, with a distinct atmosphere of Spanish colonialism mixed with indigenous culture. Don’t leave Puno without visiting the Plaza de Armas, the main city square that shares the same name as Cusco’s, but has its own distinct flair with white churches, palm trees, and fountains. Stroll through Convento de Santa Catalina, a neighborhood of charming streets and rainbow flowers. Or, get out of town and give a shot at climbing the steep volcanic slopes. Arequipa is also famed for its alpaca wool, which can be commonly found at city markets. You can fly to Arequipa from Cusco or Lima, and from here, take a day-trip to Colca Canyon by bus. Twice as deep as the Grand Canyon, Colca Canyon is one of Southern Peru’s main highlights with numerous hiking trails and vantage points to explore. You see soaring Andean condors, terraced fields, and snow-capped peaks along the harsh horizons of the Peruvian Altiplano. Hiking around Colca Canyon is not for the faint of heart, but a trek up to the Condor’s Cross landmark offers spectacular views of the entire canyon and surrounding valley. Visit in late spring for the mildest weather and most beautiful natural views. One of the great mysteries of the new world and a UNESCO world heritage site, the Nazca Lines have endured for thousands of years with an air of mystery. Legend has it that an ancient culture drew figures in the sand, representing animals and insects, as a form of communication with the heavens. Viewed from above, the geometric designs of the Nazca Lines stretch on for miles, wonderfully decorating the vast, barren desert land below. The flight itself lasts for half an hour. Expert tips: The safer companies include Aero Paracas and Alas Peruanas. The planes you’ll fly in are small, old, and turbulence-prone, so if you’re sensitive to motion sickness, take anti-nausea pills. Known for its spectacular wildlife and beautiful coasts, Paracas has become one of the hottest destinations for both domestic and overseas tourists. The area surrounding the town is part beach resort and part wildlife refuge, featuring plenty of activities to keep you busy. Take the boat ride to Ballestas Islands to get a glimpse at vast colonies of seabirds, penguins, and sea lions. Alternatively, embark into the interior and cruise by buggy across the expansive desert dunes. With easy bus access and a variety of hotels, Paracas will make any Peru excursion a well-rounded one indeed.